WinRumors uncovered a Windows Phone messaging flaw yesterday, which enables attackers to send a malicious message to your device to disable certain features. Understandably, the issue has become a concern for Windows Phone users, but Microsoft has today acknowledged the issue and promised that you'll be protected. The cause of this particular issue is not malware, as some have assumed, but rather a simple flaw with the way in which Windows Phone handles incoming text messages, Facebook messages, or Windows Live messages. 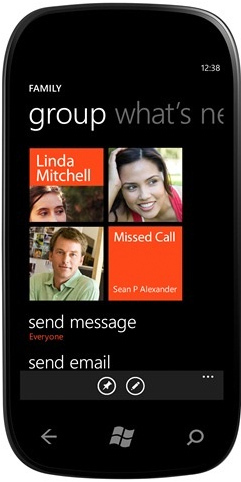 It doesn't appear to be exclusive to certain device, but rather the Windows Phone operating system as a whole. "We are aware of the issue and our engineering teams are examining it now. Once we have more details, we will take appropriate action to help ensure customers are protected." It's likely that Microsoft will promptly issue a software update to quash the bug, which will prevent certain aspects of the operating system from becoming disabled when the malicious message is received. But until that time comes, there's no need to stop using your device or lock it away with a tinfoil hat. At this point, the malicious message — which was discovered by a WinRumors reader — is yet to be disclosed, so it's unlikely attackers will be sending it out anytime soon. Having said that, we would like to see a Windows Phone update to patch the issue before Christmas. Are you pleased that Microsoft is investigating this issue?